The ideals sought for the Harvey Mason signature snare drum were described as “dry” and “short sustain”. The main shell construction is White Birch, which gives a dark tone and great projection. We added an outer ply of Walnut to add dryness and to give a shorter, controlled sustain. Canopus applied the perfect matching bearing edge to this hybrid shell and managed to obtain a crisp and pleasant sound. This snare is especially good for Jazz and Fusion styles. My Canopus snare drums are versatile, consistent, warm, bright, responsive, sensitive, and equally adaptable in live gigs or recording sessions. And it’s hand- made!! It’s a must for every serious drum artist and studio. Trut me on this!! 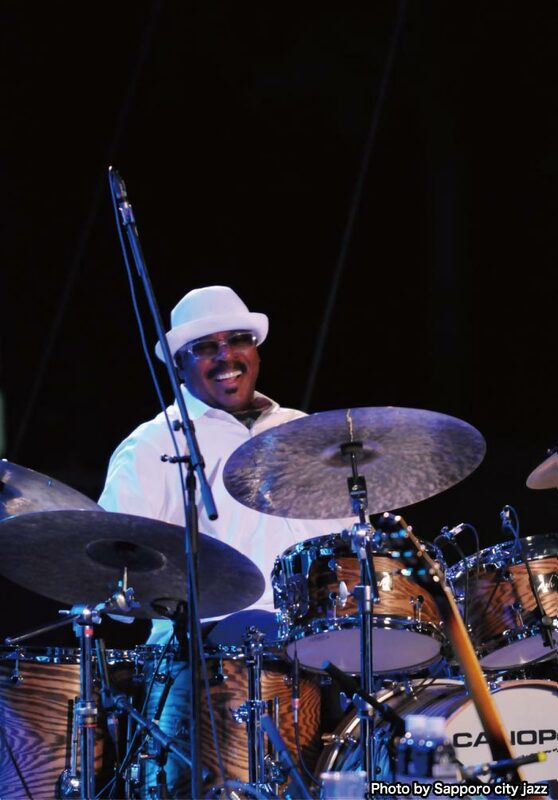 Drummer/Producer/Composer – Harvey Mason first showed his penchant for greatness, distinctive technique and innate sensitivity in the late ’60’s performing with jazz legends Duke Ellington and Erroll Garner. His recording career began in the early years of the Blue Note jazz crossover explosion and continued with groundbreaking performances and compositions with Herbie Hancock and the Headhunters. One of the world’s premier drummers, Mason has earned seven Grammy nominations including one for Best Contemporary Jazz Performance for Ratamacue the 8th of 11 solo endeavors. His 2014 release, the aptly titled “Chameleon” has garnered 9 first ballot Grammy nominations. His inspired drumming has also graced other artist’s Grammy winners, including Seal’s ’95 Record of the Year. A mantle full of tributes includes four First Place awards in Modern Drummer’s Studio poll and three Most Valuable Player trophies from NARAS. A first-call studio musician, Harvey has played on more gold and platinum jazz crossover records than any other drummer. A gifted composer, he scored Only The Strong, Deadly Takeover and contributed to the score of The Color Purple. He has performed on over 150 motion picture soundtracks and played at 12 Academy Awards presentations. For 3 consecutive yearsin early 2000s he was lauded as Best Percussionist at the Oasis Smooth Jazz Awards. His reputation as a leader in jazz-fusion fits perfectly with the style and flavor of Fourplay. 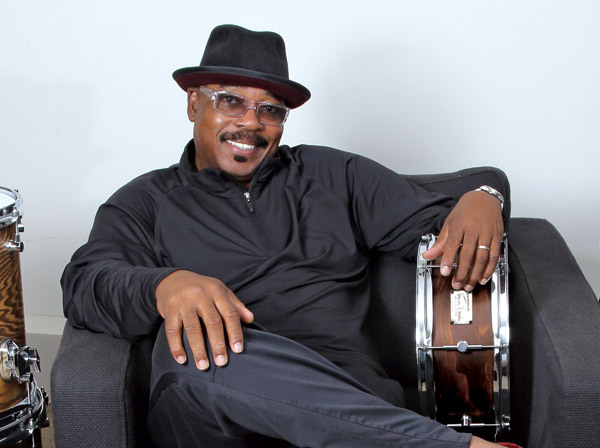 Harvey Mason’s uncompromising quest for excellence has impacted the shape and form of music and musicians for the past four decades and will continue to keep him at the forefront of not only jazz, but that of pop, rock, orchestral, R&B, hip-hop, world and Latin, for decades to come. Harvey’s discerning taste has led him to endorse Canopus Drums, an amazing boutique line of exquisite sounding drums, capable of complimenting any musical genre. The drummer who can play anything chooses to play Canopus, the Chameleon Drum! Video "Harvey Mason chooses Canopus Drums" uploaded!